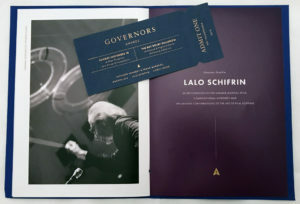 Composer Lalo Schifrin on Sunday night received an honorary Academy Award “in recognition of his unique musical style, compositional integrity and influential contributions to the art of film scoring.” Actor-director Clint Eastwood, for whom Schifrin composed eight scores (including Dirty Harry and Joe Kidd), presented Schifrin with his Oscar during an entertaining and funny 20-minute segment at the Motion Picture Academy’s 10th annual Governors Awards at the Dolby Theater in Hollywood. Eastwood ignored the teleprompter, instead asking Schifrin to come up because “I want to ask you a couple of questions.” Music director Rickey Minor struck up the composer’s famous Mission: Impossible theme while the honoree made his way to the podium. What followed was an impromptu conversation that contained some of the evening’s funniest moments, as well as a heartfelt outpouring of affection by the hundreds in the star-studded audience. 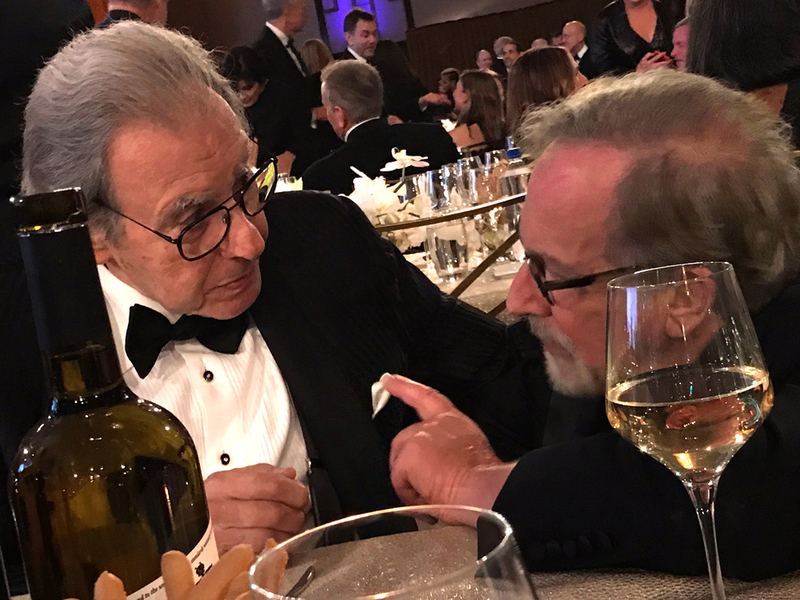 “We’re both jazz nuts,” Eastwood noted, pointing out that young Schifrin had to pirate jazz LPs into his Buenos Aires home. “Jazz was considered immoral,” Schifrin said. “Well, it is, kinda,” Eastwood responded to audience laughter. “Jazz is the American classical music,” Schifrin said to massive applause. 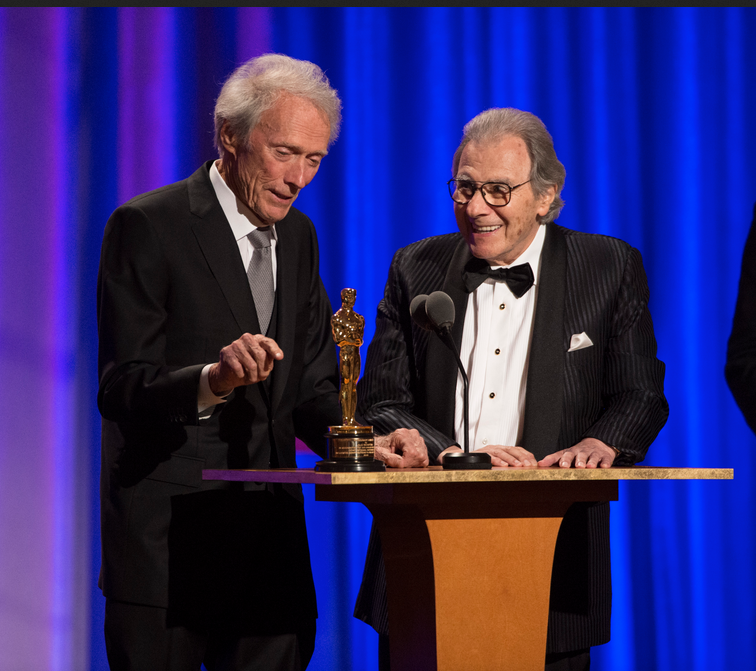 When Eastwood apparently ran out of questions, Schifrin quipped, “It’s very nice talking to you,” to more audience laughter. 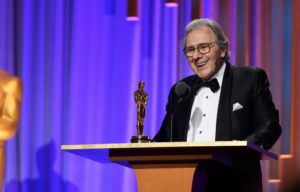 “Composing for movies has been a lifetime of joy and creativity,” Schifrin said on a more serious note. “Receiving this honorary Oscar is the culmination of a dream. It is a mission accomplished,” he said to even more cheers and applause. 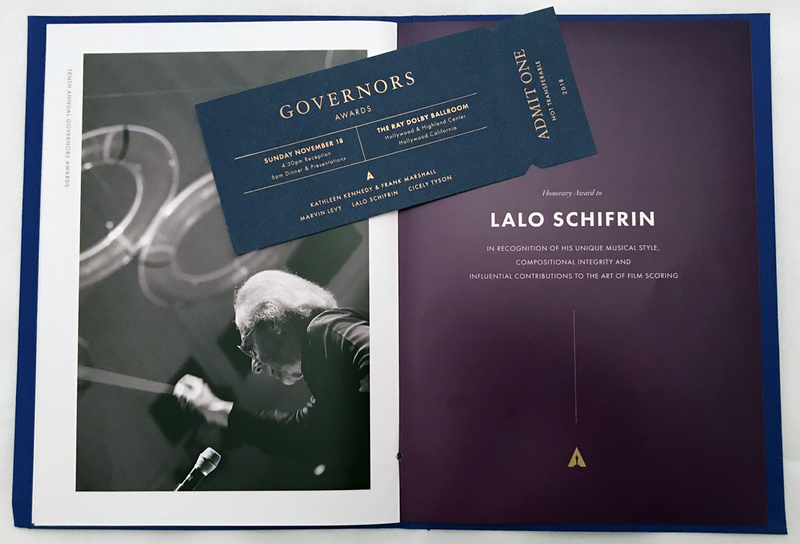 Fellow honoree Frank Marshall (who, with his wife Kathleen Kennedy, received the Irving G. Thalberg Memorial Award) stopped by Schifrin’s table before the awards ceremony began, as did director Steven Spielberg. 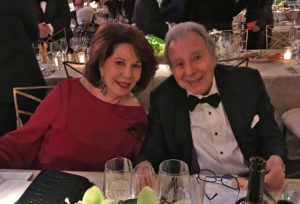 Also receiving honorary Oscars Sunday night were actress Cicely Tyson and publicist Marvin Levy. The final moments of Schifrin’s acceptance speech are here. My appreciation of Schifrin’s music, published last week in Variety, is here. This entry was posted in Composers, Film Music and tagged Clint Eastwood, Frank Marshall, Governors Awards, honorary Oscar, Kathy Bates, Lalo Schifrin, Steven Spielberg on November 19, 2018 by Jon Burlingame.